Second to last episode! Here we go! Universe: You can’t pretend to love. taxi driver from ep 14 got married! Hai Ning’s publishing company is doing video recording of the different suitors and their thoughts on this social experiment. 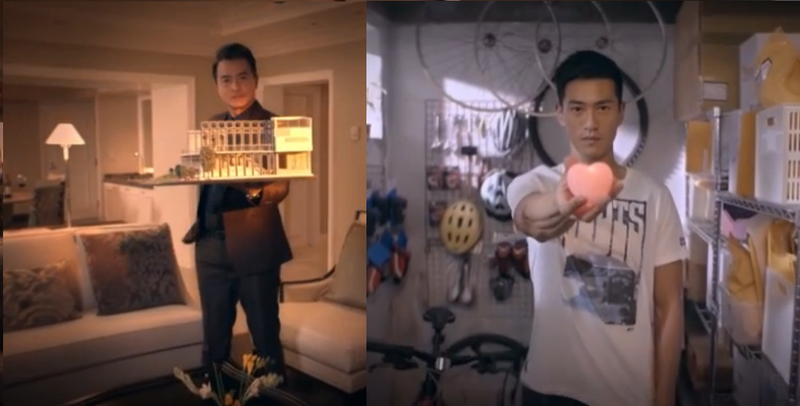 Of course, Zhe Ming uses this opportunity to profess his undying love for Hai Ning. He says he learnt a lot from this experience and one of the biggest lesson was about letting the one he loves pursue her interests in order for her to explore her individuality and have her freedom. Blah. Zhe Ming: Give me more time and give me another chance, I will become a better person. Zhe Ming finishes up the video and gets ready to leave for an important meeting. Hai Ning exchanges friendly words with him before he departs. Wait, not before he turns around and looks at her again. the longing in her eyes is real! Hai Ning is about to call after Zhe Ming but gets interrupted by Ah Fa’s loud shouting inside, so she loses her chance and Zhe Ming walks off into the sunset (what, there’s no sunset?). Things might not be going well for Hai Ning, but there is good news after all! Turns out Ah Fa was shouting because Bei Bei and Universe got married secretly! Ah Fa and Mei Feng are upset at Universe though for not even buying Bei Bei a ring or cake or car or house or anything else, but it seems that Bei Bei is plenty happy and these two lovebirds have their own special understanding of love anyway. That’s all that matters, right? Finally! Suitor #100! Horray! Hai Ning is finally going to finish her project. 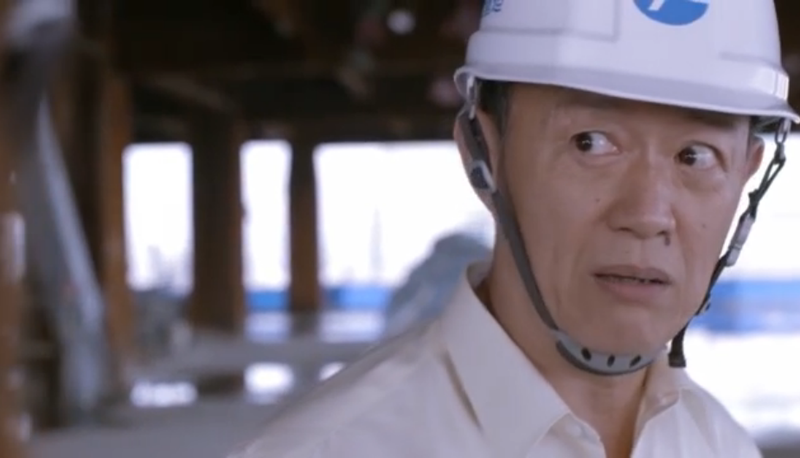 She meets up with Yu Wen, a construction manager who is very serious and cautious about his work. He fills us in on his background: in 1959 his family’s house was destroyed in a flood and his parents wanted him to find a stable job so he became a teacher. However, after the 921 Earthquake, he decided that he needed to do something else with his life and so he went back to college in his forties to study architect. Hai Ning inquires as to why he has not gotten married yet since his life story is so inspirational. He replies that he tried matchmaking once but the other party did not select him (he saw the ad on a newspaper), and so now he is trying again via the internet. He jokes that he is so lucky to be able to reply to two generations’ personal ads. 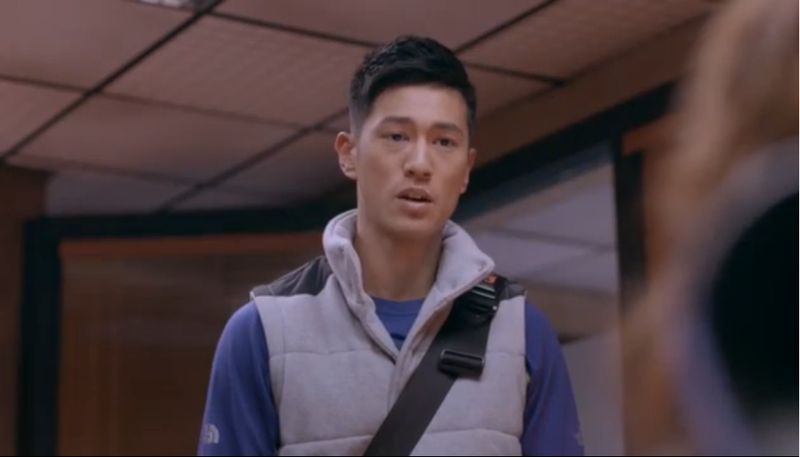 “This can’t be the only way you meet girls?” Hai Ning asks. He says he had dated a couple of times before, but it never worked out for him because he was always told he is TOO cautious. As if to prove his point, Yu Wen pulls out a document that details the compatibility rating (98%) between him and Hai Ning. It’s like Tian Xin heard me wonder where she went because she calls up Hai Ning just at that moment and announces the explosive news that she is getting a divorce! So Hai Ning dashes to the divorce court (or wherever they go to get divorces in Taiwan) and there’s Tian Xin and her husband Xiao Qiang arguing. Apparently Tian Xin is upset that her mother-in-law expects her to do chores while pregnant. Now she knows she’s preggers? Cue eye rolls please. Turns out they need TWO witnesses to complete the divorce procedure, but they only have one, so Hai Ning successfully diffuses the situation… or rather, delays it for another day. Back at the office, Zhong Wen pops by to ask Hai Ning an important question – what is he to her? She gives the typical drama line of “you are an important friend to me,” which totally disappoints him. He asks if she feels the same towards Zhe Ming, but she doesn’t know how to answer so she tries to turn it around and inquire about his feelings for her. He tells her that for him, she is someone that he wants to stay by no matter what. After hesitating for a tiny bit, Hai Ning decides to run after Zhong Wen, but once again she is too late and he already left the building. Hai Ning: Tian Xin says to get a divorce all you need is to do is stamp the paper. Universe says to get married all you need to do is also stamp the paper. But Yu Wen says marriage requires a strong foundation, not just intuition. If the stamp represents promise, then what is intuition? Flashback time! The 921 Earthquake hits and Hai Ning along with others rush to exit the college dorm. Unfortunately, she trips and falls. Who but Zhong Wen appears and helps her up! Hai Ning feels cold standing outside her dorm and Zhe Ming turns up to wrap her in his arms. Ah, ’tis a dream and not a flashback. When she pulls back from his embrace she sees Zhong Wen again. This girl is in love with two men at the same time. To be honest, Zhong Wen certainly rubbed off on her rather quickly, considering the amount of time he spent with her versus the time Zhe Ming spent with her. Zhong Wen sends Hai Ning an email with a video confession in which he lists of his shortcomings and her accomplishments. He tells her she makes him feel like he is useful, and that he can care for others. Hai Ning: Number 29 Wang Zhe Ming asked me for another chance. He says he will let me be myself. Number 99 He Zhong Wen tells me the me he sees is so unique. Yet I still don’t know who is the one I want. WHO will it be? man with house, or man with heart? Hai Ning has flashbacks to all the different suitors she had in the past and suddenly decides that she doesn’t want to publish the book anymore. She tells the team that because she is getting confused about the meaning of marriage she doesn’t want to do it anymore. The team is upset because they had worked so hard on the marketing and the prep work, but none of this moves Hai Ning. I’m not surprised though, it’s not the first time she does something completely selfish. We also get no closure on Yu Wen; this marks the first time we don’t have a “happy ending” for a featured suitor. The second and last time Hai Ning meets up with Yu Wen he shows her more forms he made for the future. 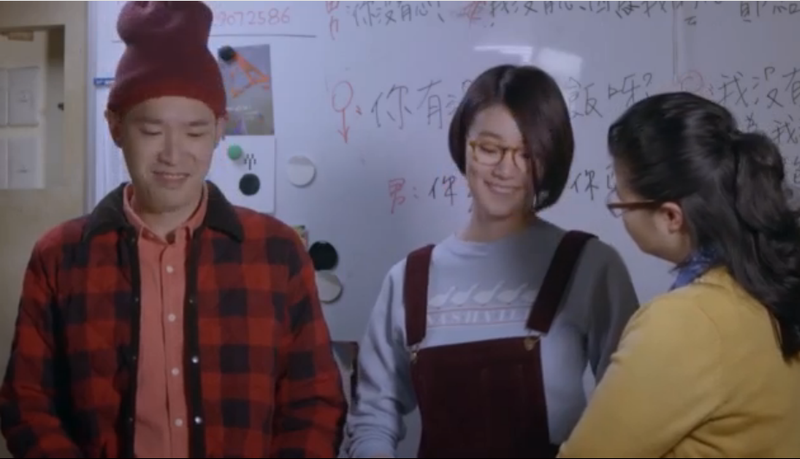 He asks her to sign her name four times on the back if she decides to keep going…Uh, ok.
Universe complains that he and Bei Bei had to wear parents’ old clothes to get their marriage license. Zhong Wen gets a letter from Hai Ning that says she will not publish any details about him. well, that’s considerate… i guess? I’m constantly amazed by how fast you do your recaps! Plus how consistent, I’m able to persist on recapping so many episodes for sure.